When it comes to choosing a liner or tarp, be sure that the liner is pin hole free, seamless, and white. A seamless pin hole free poly liner does not weep water. 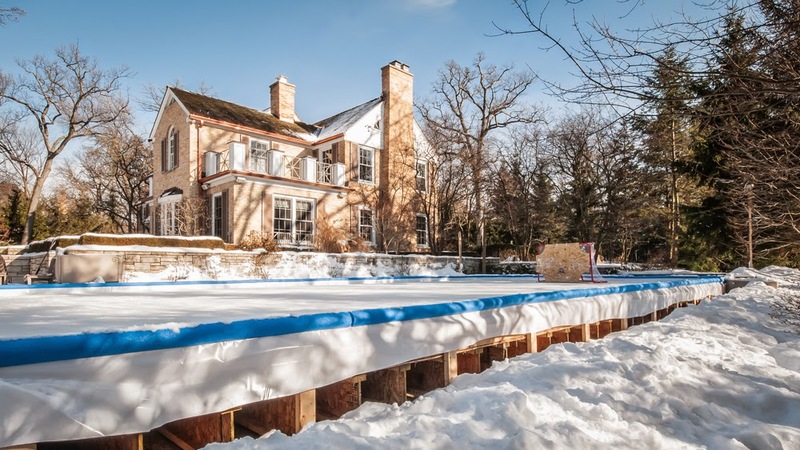 For an ice rink, water leaks usually result in extra maintenance and mediocre ice. Also, depending on the winter, a weeping tarp could cause damage to the lawn as water can flood grass roots or trick the dormant lawn to become active in the middle of winter. White liners or tarps make a big difference for forming and keeping great ice. 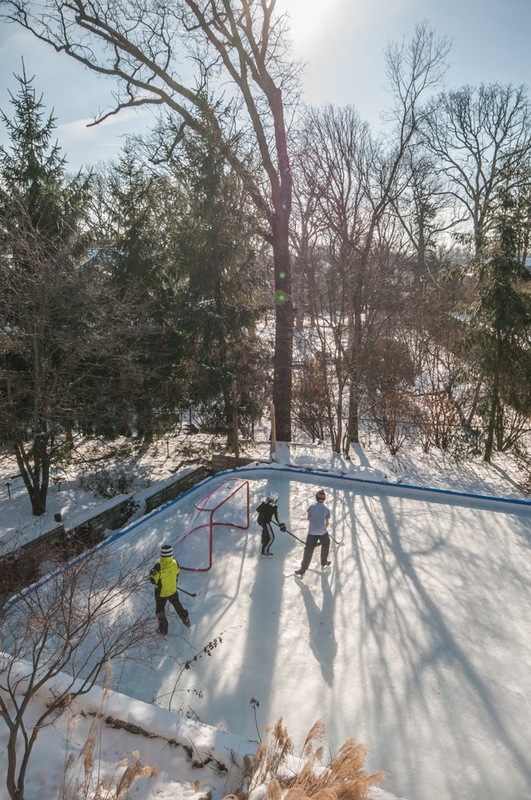 White helps keep the ice from melting by reflecting the radiant heat away from the rink on those sunny winter days. 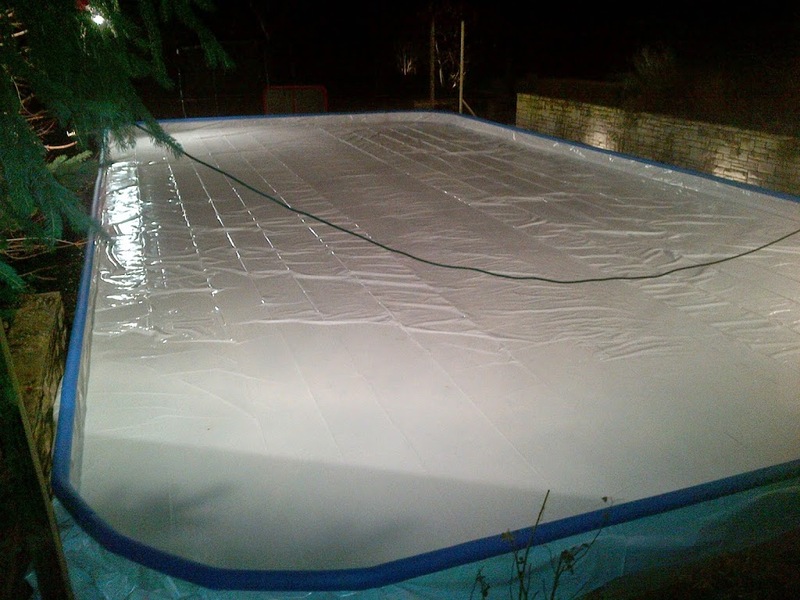 Iron Sleek manufactures high quality ice rink liner using only virgin polyethylene resins, in pure white, and multilayered. Multilayered liners are much stronger than a single layer. WE DO NOT USE RECYCLED MATERIALS FOR YOUR LINERS as the first melt is the best melt. Some lower cost options that can be found at the local hardware store may be made of recycled materials since they are not specifically made for winter ice rinks. The first resin melt produces the highest quality plastic which is required to absorb the abuse of a cold winter. Our manufacturing recipe is proven successful for outdoor natural rinks while recycled solutions are a compromise. Also, we provide ice rink liner at widths that are perfect for making home ice rinks to be 20 wide, 30 wide, 40 wide, and 50 wide. 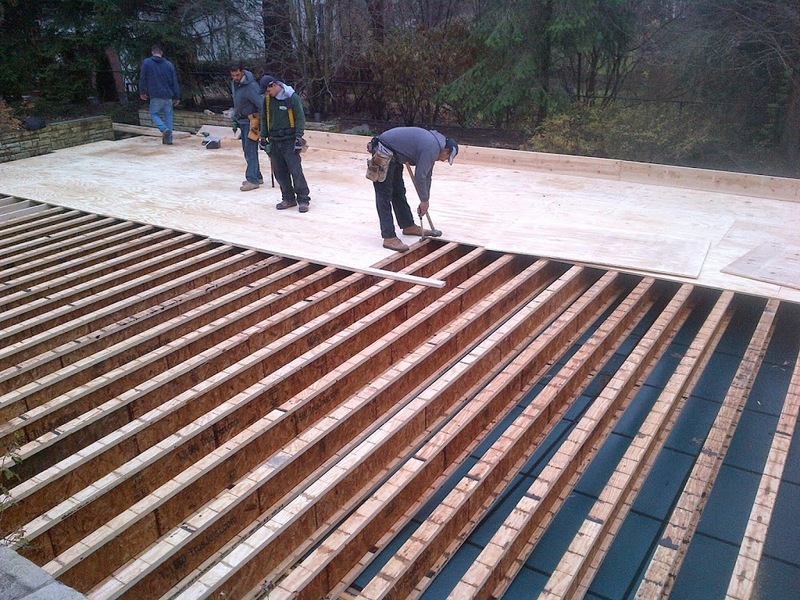 Our widths are specifically manufactured for those who are building backyard rinks. If you are a park or recreation center, we also have liners as big enough to make an NHL size rink. Do I really need a liner? First of all, mil refers to the thickness of a liner in thousandths of an inch (i.e. 6 mil= 0.006”). Iron Sleek recommends using the “flood method” where you flood a framed and lined enclosure (like building a swimming pool). With the flood method, the liner is simply an impermeable. That is, it keeps the water from passing through. Reality, however, is that winter freeze/thaw patterns causes rinks to creep throughout the season. Although 3 mil is impermeable, it is too thin to endure the extreme winter patterns in North America. 5 mil and up is our recommendation for outdoor ice rinks. Iron Sleek goes the extra mil from 5 to 6 mil to assure your success. Iron Sleek 6 mil Liner also has the multiple layers required for rinks…Layers will get you more toughness–like skin. 6 mil or 20 mil, a skate through the ice will still cut right through the liner so do not waste your money on extra heavy duty liners! 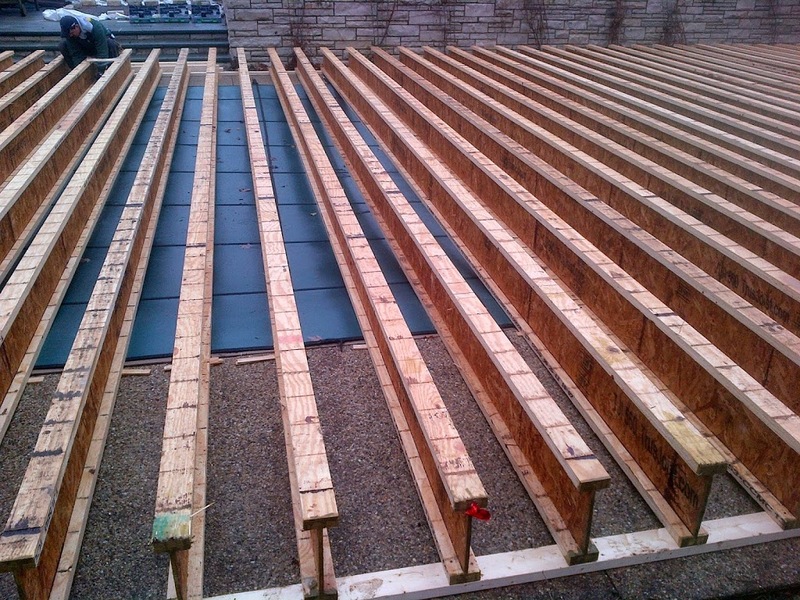 If you have rocky conditions, a string reinforced liner may be a better solution for you. Minimally, a liner should be big enough to cover the entire skating surface and should be able to come all the way up the boards and then droop down a bit on the exterior. The liner should be at least 4 feet wider and 5 feet longer than the skating surface or more. 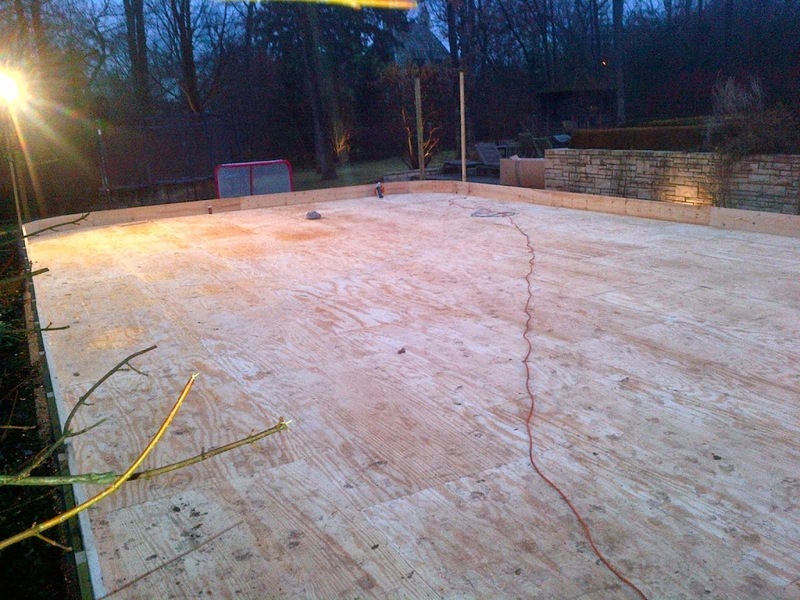 For example, a rink that is 30 by 50 should use a liner that is at least 34 by 55. It is always good to have extra liner just in case you need to use taller boards. Remember, too much liner is not a mistake while too little is. Long liners are easily trimmed for aesthetics! Use Iron Sleek Rink Topper to hold the liner in place and to give your rink a nice appeal. Iron Sleek liner clips are an affordable alternative to rink topper. One more important consideration on sizes is to beware of nominal sizes versus actual sizes. 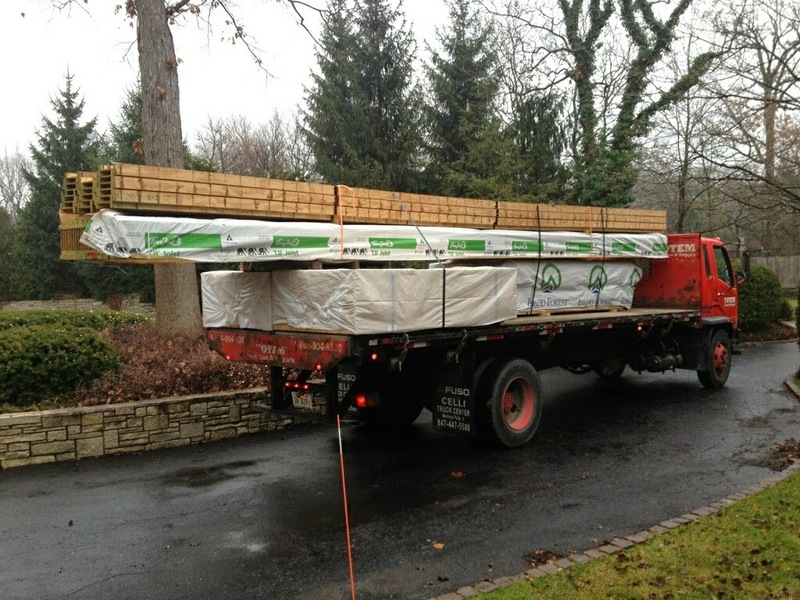 Tarps are usually nominal sizes while liner are actual sizes. That would mean that a tarp can be smaller than the listed size. With Iron Sleek liners, you will always get enough liner. Can a liner be reused? Take my word for it, cut out a few Starbucks coffees and save your money for a new liner every year. It is not worth the panic of “did I cut the liner” or “do I have a leak”. I have tried to keep my liner in tact in the past only to fail every time. Since my wife would never let me put that stinky monstrosity in the basement or garage, I tried to store it in the outdoor shed where I had creatures nibble holes through it, mold infestations, and rancid unexplainable stink. Buy a fresh clean liner every year. Use your old liner to cover your lumber in the off season or just recycle it since it is LPDE #4. 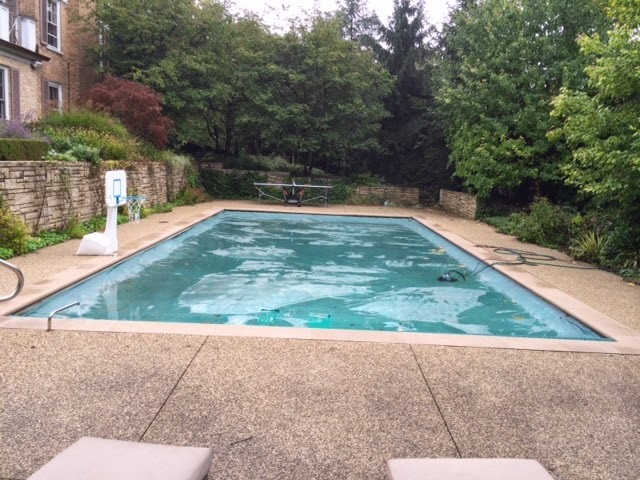 If you insist on saving your liner, just use it as a bottom insurance layer for the following year. Do not worry so much about liner cuts above the ice level. Cuts beneath the ice are highly relevant so I strongly recommend protecting your liner from failing during the skating season with Iron Sleek Base Cove. Do the Liners or Tarps kill the Grass? Liners should be laid down only before a deep freeze is coming. By that time, the grass is dormant anyway. Snow covered grass gets little to no sunlight while grass still comes back every year. The problem occurs when you leave your liner/tarp in place during the time your grass becomes active. I learned that using a true white liner buys you a little time and forgiveness which helps for healthier end of season lawns. If you lay your liner down on dormant grass and take it up when the grass is still dormant, you will be just fine with whatever you lay down. Some will advertise that white/black liners as grass killers, but boards and brackets are equally 100% opaque. Ice Rink Brackets and rink boards haven’t killed my grass. It’s all about timing and dormant grass. Also, there is no one who will guarantee that your grass will come back but it usually comes back better, at least that is what my experience and customers all tell me. We cannot control the weather and a fluke season could happen where the grass could be tricked to become active. My opinion is that a backyard rink is worth the minimal risk of losing your grass. Treat your liner very carefully when installing it. Be sure that nothing sharp is in your rink area or on your boards. Be sure that no screws are pointing into the rink interior. Tuck your liner down nicely into the rink. Fill the bottom gaps with soil or use Iron Sleek Base Cove. Do not staple your liner until it is settled when the rink is full of water. Iron Sleek Rink Topper is a great alternative to stapling. Never walk on your liner unless you have an emergency. In that case, do not where shoes, go in with 2 layers of socks on. Never reach into your rink enclosure with tools, you will drop them and you will be sorry for your liner and your tools.